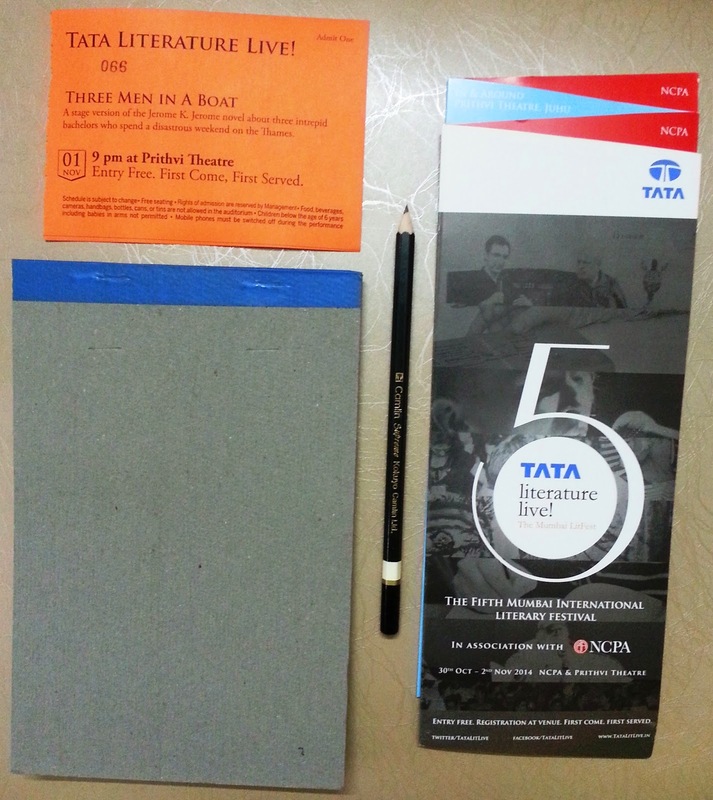 Yesterday, I spent a very interesting afternoon at the 5th Tata Literature Live - the Mumbai Litfest! 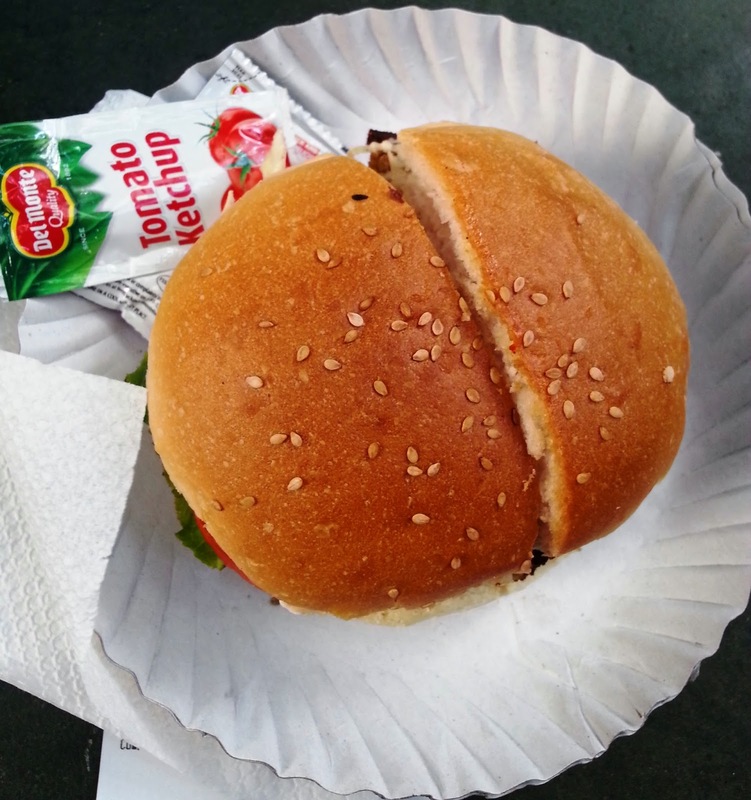 This was all thanks to BlogAdda for nudging me to go. This International Literary Festival was on from 30th Oct to 2nd Nov, and for the first time in 5 years, they held it at two locations simultaneously! 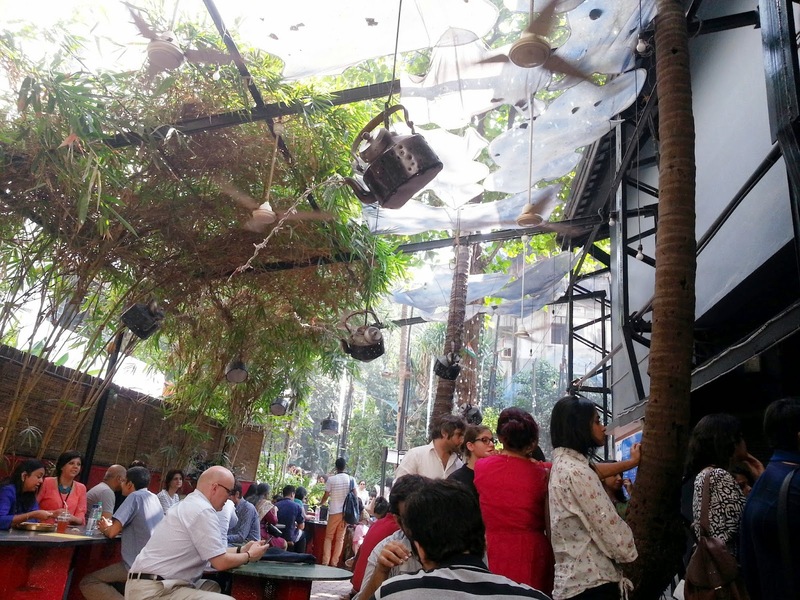 I decided to attend the fest at their Prithvi Theatre venue. I had already made a schedule for all the talks, plays and workshops that I would attend, but I was in for some disappointment when I finally reached Prithvi. The passes for most of the talks and plays had run out. :-( I should have expected this as the litfest was a free event. (Yes, you heard that right!) Every entry was on first-come-first-serve basis. Luckily, the lady behind the reception kiosk told me I could attend one workshop on my list. With my physical-hunger put to rest, I set out to satiate the hunger of my soul. 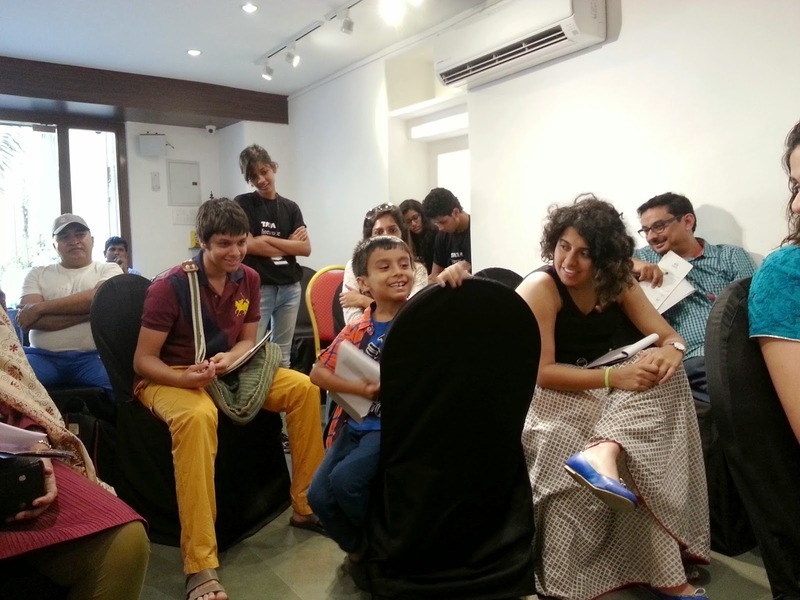 I was at the Easel Art Hub 2 to attend a workshop on 'Swapping Words and Worlds'. Truth be told, I had no clue what this would be about. I just thought the title sounded interesting, and so, I decided to sign myself up for it. Before the hosts arrived, I seated myself right on the first row and chatted with participants around me. I knew then that this would be about poetry. 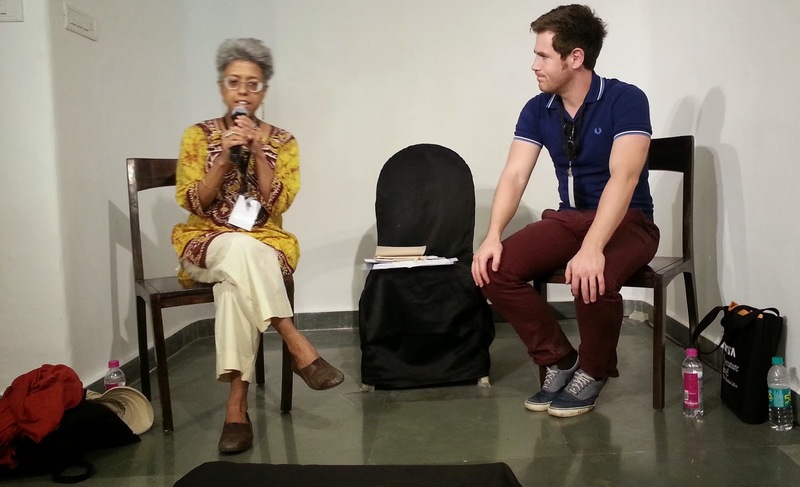 The organizer introduced to us the stars of the afternoon - Sampurna Chattarji, a Bengali poet, novelist and translator, and Eurig Salisbury, a Welsh poet who endeavors to bring poetry to children. 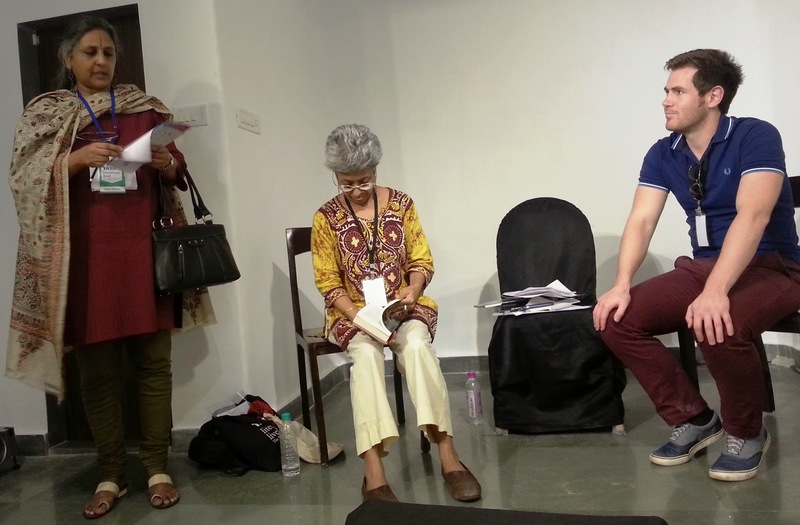 Eurig was invited to India for the famous Welsh poet, Dylan Thomas's centenary celebrations. The afternoon began with Eurig reciting one of his poem's on Dylan. "Dylan" in Welsh is not pronounced like it is in English. The Welsh pronunciation warrants stress on the "l", whereas in English we stress on the "D". Eurig wanted us to concentrate on the Welsh sounds and stress on certain syllables. We would later learn this is very important in Welsh poetry. I found the exotic sounds very calming. Welsh requires good control of your breath. It has some throaty sounds (like those of Arabic and Slavic languages) and conspicuous usage of "kh", "sh" and soft "d". The Bengali translation of that poem was then recited by Sampurna. And lucky me, I had the opportunity to understand what the poem meant. The aim of this exercise was not to understand Welsh or Bengali, but to appreciate the sounds and words in both the languages. Sampurna, the jovial poetess, told us how she had given Eurig a Bengali word (bhabachaka) to use in his poem. [Please leave a comment to know the meaning.] Eurig, without knowing anything about the definition or usage of the word, had composed an entertaining poem describing the thoughts of a bird. In return, he had shot the Welsh word, cynghanedd, (pronounced ken-haan-et) at Sampurna. 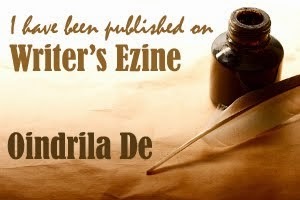 She recited the English poem she had composed in reply. It was an anecdotal one on a fictitious "King Hanedd". Give your partner a word in your own language. The word can have a meaning or can be meaningless. Do not reveal the meaning of the word to your partner. Take the word given to you without asking any questions, and compose a poem (in any language) incorporating that word in some way. Your pocket won't develop a hole!" "Where is the poetry workshop? My GPS-enabled smartphone can't find!" Full of people. "Oh my unkempt hair!" Said the guy next to me. Poetry! Come, set me free! That poem is certainly going to get me thrown out of such workshops! Fortunately, the hosts changed the topic and Eurig taught us about a Welsh style of poetry - the Cynghanedd. The word, cynghanedd, means 'harmony', and this traditional style has strict rules. Dylan often used cynghanedd in his poetry. He had a certain playfulness to his style and remains the national favourite (much like our own Tagore). 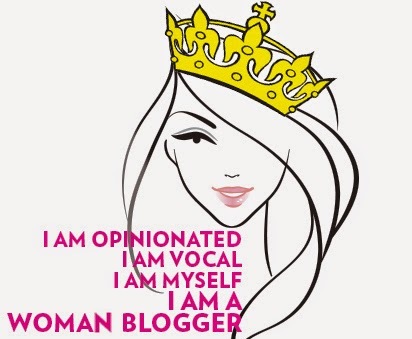 The last word of the last line must have more than one syllable. The stress on that word must fall on the penultimate syllable. A word in the same line must rhyme with the penultimate syllable of the last word. Tipped his hat and said, "Grazie". Notice how "hat" rhymes with "grat", the penultimate syllable of the disyllabic word "grazie" (pronounced grat-see) which means "thank you" in Italian. The aim of this workshop was to bring us out of our preconceived notions of poetry with its traditional rhyme, metre and rhythm, and help us discover internal rhyme and the unusual style of cynghanedd. We also found that when we divorce meaning from a word, we discover sound. And sound is a beautiful thing that can be interpreted in multiple ways by multiple people. A word that denotes a sinister meaning in one language can appear to be soothing to someone who speaks a different tongue. I walked out of that room a little wiser from the interactions and my mind expanded a little more. 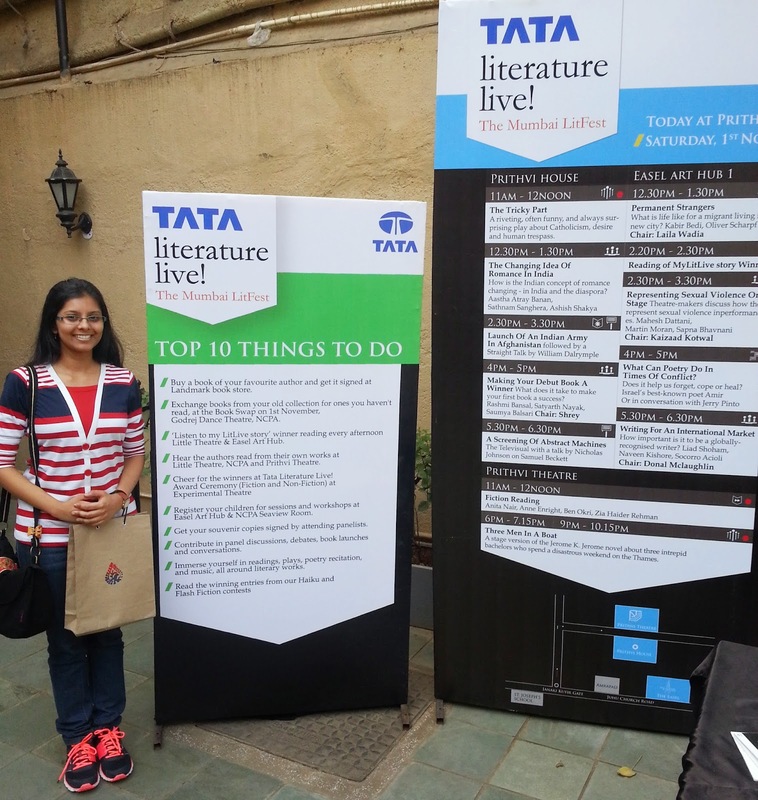 I returned from Tata Lit Live feeling a little more alive!